Jack Flannery was the first President of the National Space Science & Technology Institute (NSSTI). He provided creative leadership and developed a robust organization to enlighten, inspire and engage students, teachers, professionals and the general public in the adventure and possibilities of space science and technology. His passionate oversight continued until his untimely death in 2008. Jack joined Pikes Peak Observatory, Inc. (PPO) in 1998 to help champion placement of a state-of-the-art infrared observatory on the summit of Pikes Peak. Jack led expansion of the PPO mission to include a space science and technology center to educate students and the public about space, leading to the creation of NSSTI. Jack visited and interacted with science museums and space-related centers across the United States to expand his professional knowledge and experience. He served on several non-profit Boards and recruited gifted directors and advisors for NSSTI to provide the expertise needed to fulfill the broader vision. 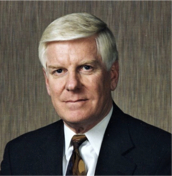 After serving 27 years in the Air Force as a fighter pilot, squadron commander, Air Force Academy Deputy Chief of Staff, and Air Force Space Command Director of Training, Jack served as Vice President of FlightSafety Services Corporation, Space Training Systems Division, and as Executive Director of the US Space Foundation. Jack made his home in Colorado Springs with his wife Susan. They have three grown children and eight grandchildren. Jack was admired and is missed by those who knew him well, especially his family, NSSTI associates, and colleagues throughout the space education and training community.